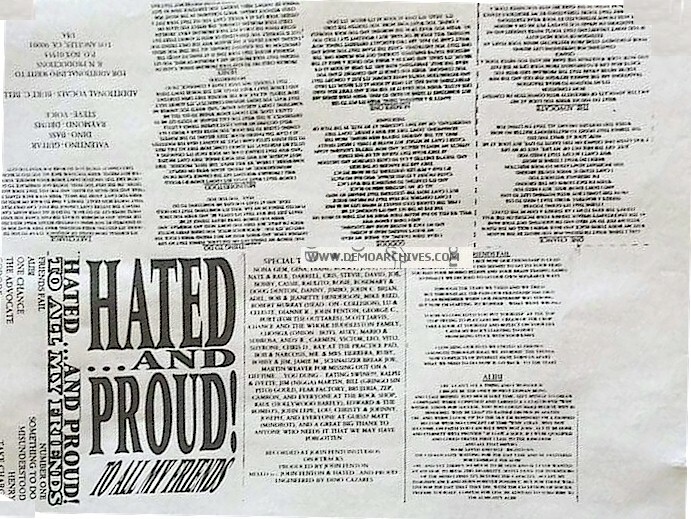 Punk band Hated... And Proud! The band featured Raymond Herrera (Fear Factory) on drums, Dino Cazares (Fear Factory) on bass Valentino Cazares (Dino's brother) on guitar and a guy named Steve on vocals. This was more in the direction of Bad Religion type punk with a few blast beats snuck in by Raymond. On this recording also featured Burton C Bell doing backing vocals so it's pretty much all Fear Factory.